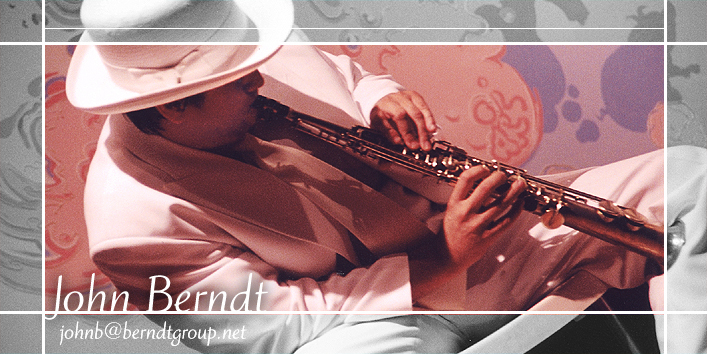 Join the John Berndt mailing list to recieve occasional information on performances, publications, etc. Relabi, a new experiential gestalt that competes with "Rhythm," and has a continuously slipping pulse. A Short Statement About John Berndt's Music for People Already Familiar with it. Someone wrote this about John Berndt on Wikipedia.